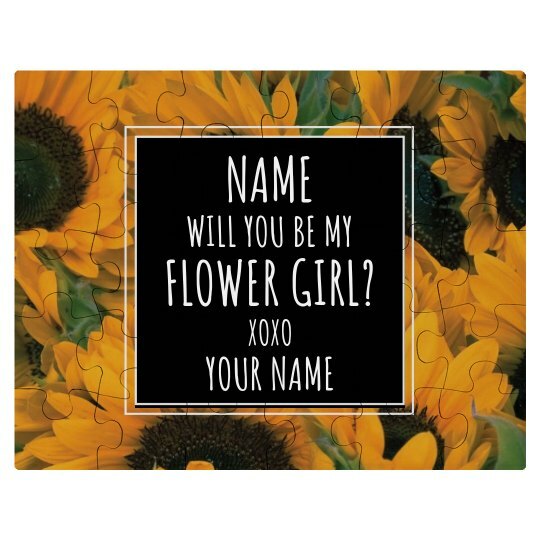 Customize a super special, all over print, sunflower pattern puzzle set for the ultimate flower girl! Ask her to be in your wedding in the cutest way possible. Personalize this gift by adding hers and your name!